Several things are happening in the world of technology, and such changes are definitely affecting several industries, and the supply chain is no exception to this. 3D printing, IoT, AI, and automation; these are just some of the innovations that are slowly changing the way we live and interact with each other. As technology and hardware continue to evolve, it’s becoming more and more powerful than how it used to be. As a matter of fact, there’s a growing amount of enterprises sign on, and this isn’t something we can ignore. Even Amazon is using technology to hire a large robot workforce to perform specific tasks, and there are AI tools that specialize in language processing, and major brands, such as Microsoft and IBM use this to offer better contents. Big retail stores are also leveraging to analytics and big data to promote the items they’re selling. Without a doubt, these innovations are definitely promising, and if you think about it, they have something in common– they are connected to supply chain and distribution services. That’s why we’re here to discuss the technology in logistics and the future of robotics. Due to its positive impact on almost everything, it can be quite challenging to think that IoT technology could be disruptive shortly. We have the same sentiment, and even experts predict that IoT will be more capable and reliable soon. There will be smart shelves and machinery that are specifically designed to get accurate measurements and also react to environmental changes. As for companies, more and more companies, such as JD Edwards would develop software that could help companies reach their real potential. We could expect that automation will soon be part of our daily lives. These work with the help of artificial intelligence, as well as data analytics. That’s why some experts even describe this as the “next generation” of automation as it would be smart and contextual. We’re talking about systems that don’t require human intervention but could still function to the fullest. This might sound a little crazy for now, but rest assured that it’s not far from happening. Besides, we’re already living in a world where vehicles can now easily park and drive themselves. It won’t be long before automated transportation becomes old news, and we’ll begin to see more cars on the roads. Likewise, there will be vehicles that could easily handle automated distribution and transportation. Both of which can affect the supply chain. Experts would tell you that if there’s something that goes hand in hand without any problems at all in terms of technology, it would be robotics and supply chains. The majority of tasks and responsibilities managed by supply chain automation are possible because of the tools and hardware used together with it. They are specially made to complete tasks that could be challenging for humans, and could also be time-consuming. Not just that, there are also instances where they could perform dangerous work and ensure that the workers would stay safe at all times. Then, there are also robotic arms that could easily lift items and move them from one location to another– they are a little similar to a conveyor belt but highly advanced. We could expect that this is the type of machine that would be predominantly used in the future. The best way to describe advanced robotics and AI is that they’re part of the future technology, and other devices, such as drones, robots, and even computer system are related to it. For those who think that there’s still a long way to go before we can enjoy these, think again. They’re just a few periods of sleep away from us. Before you know it, they’re already being used for local delivery. 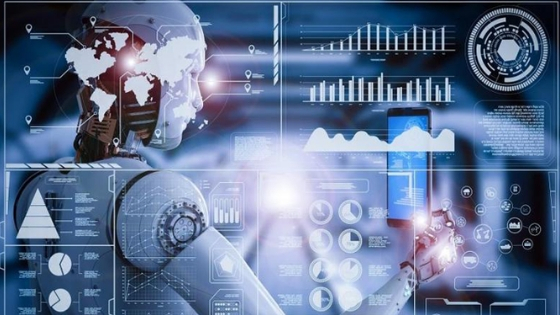 In the following years, these systems will become more common, and experts believe that time will come, entrepreneurs will soon realize the importance of investing in robotics. Cryptocurrencies function through the help of a public ledger known as the blockchain. Shortly, we could expect that this would affect several industries to the point that we might even reach the phase that we would be reliant on it. All that’s necessary is for it to unleash its real potential. Why Small Businesses Should Consider Utilising AI?